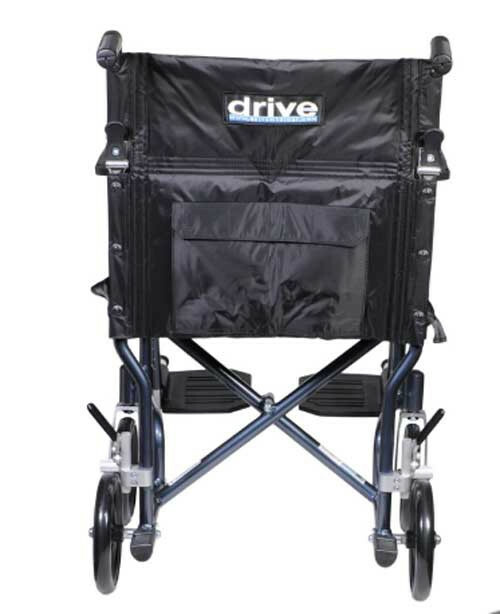 Drive Medical Fly Weight Aluminum Transport Chair is a lightweight transport chair weighing only 19 pounds. 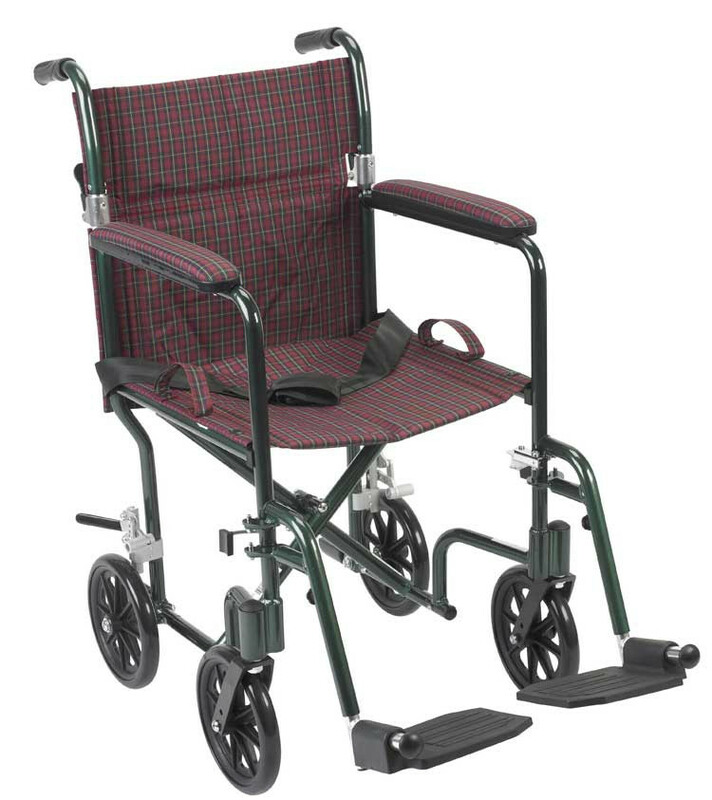 Although weighing 30% less than the average transport wheelchair, the alluminum frame for this chair is strong and durable. 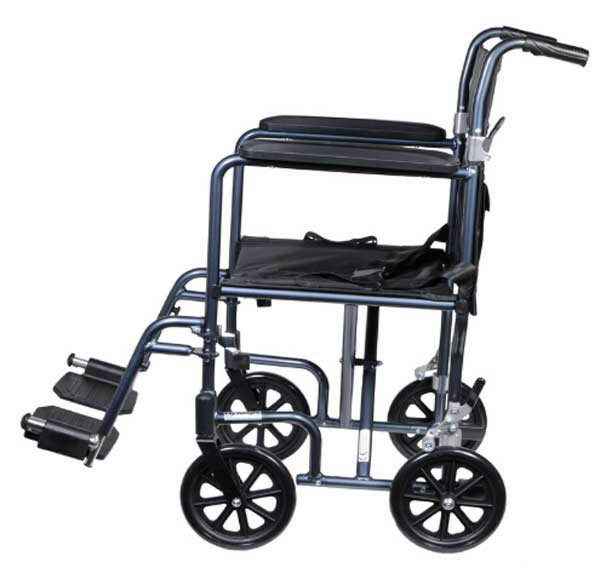 The composite wheels are low maintenance and flat free. 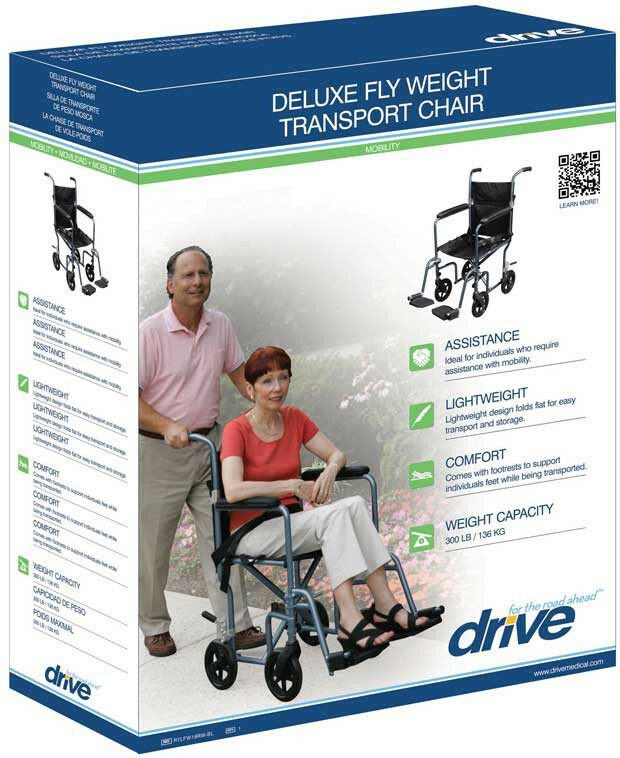 Drive Fly Weight Transport Chair features deluxe back release. 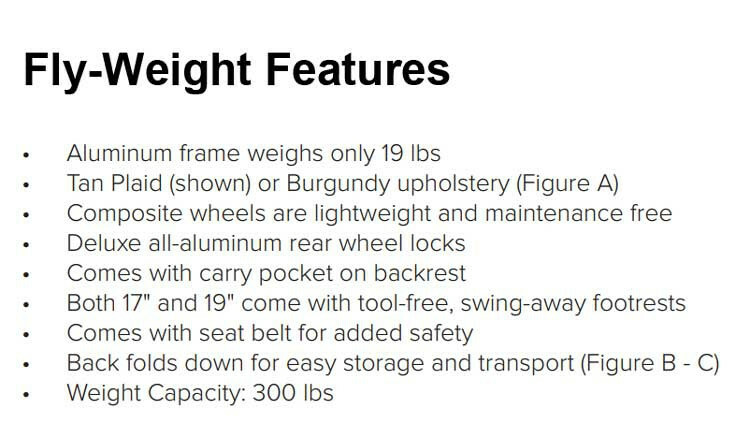 Deluxe, all aluminum rear wheel locks. 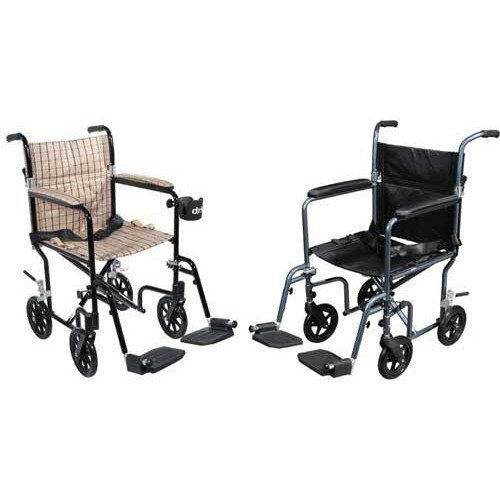 Fly Weight Transport Chair has composite wheels that are lightweight and maintenance free. 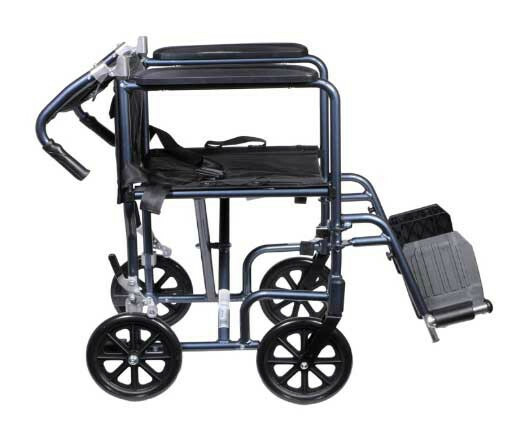 Comes with carry pocket on back of rest. 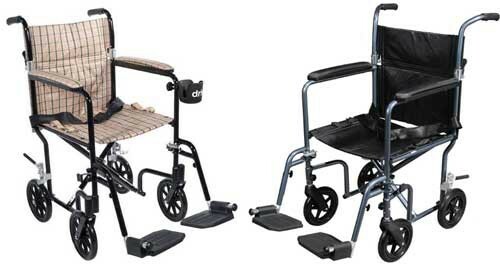 Both 17" and 19" (seat width) come with tool free, swing-away footrests. 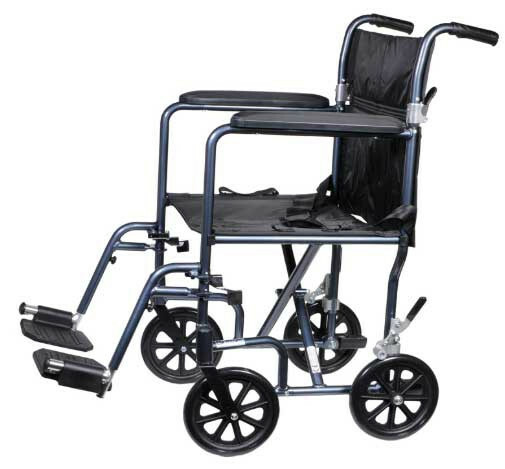 This lightweight wheelchair comes with seat belt for added safety. Soft, plush upholstery for added comfort. 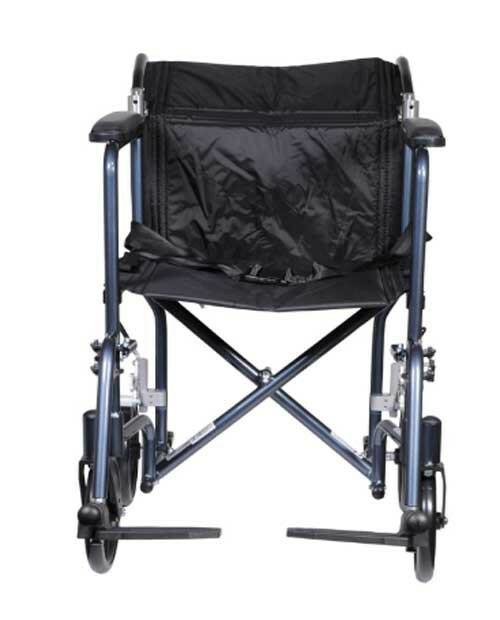 Fly Weight Transport Chair features folding back for easy storage and transport. 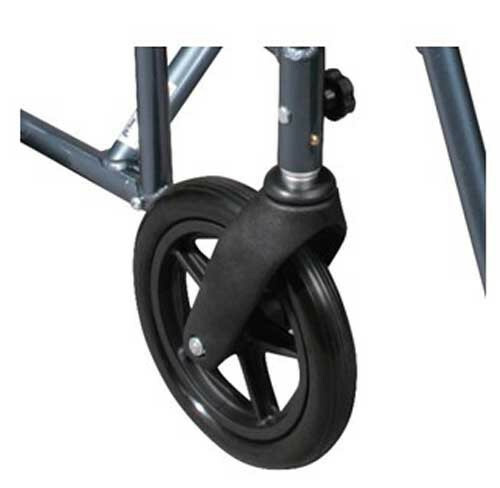 Large 8" casters in front and rear help to clear obstacles. Width: 20" open, 9" closed (FW17BL) 22" open, 9" closed (FW19BL). Length: 33 " with riggings. Height: 36" (FW17BL), 37.25" (FW19BL). Seat Height: 20.5" (floor to seat). 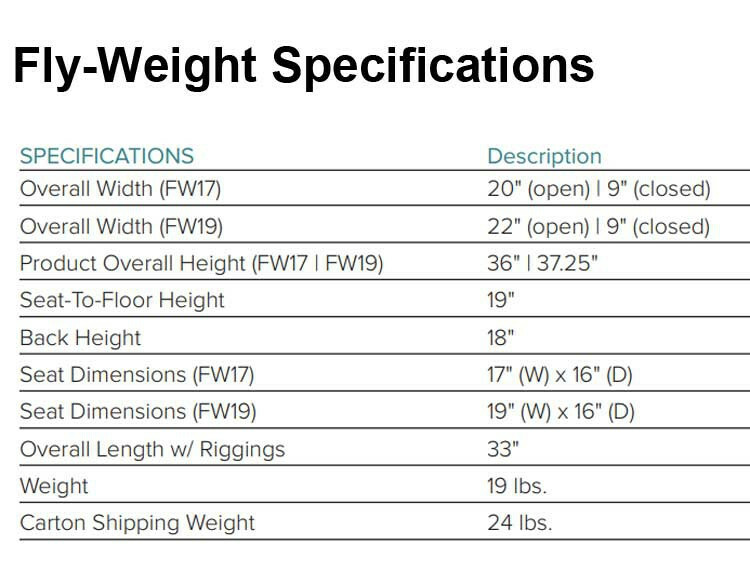 Shipping Weight: 27 lbs. (FW17BL), 28 lbs. (FW19BL). Seat Width: 17" (FW17BL), 19" (FW19BL). Optional Tool Free Swing-Away Elevated Legrest. 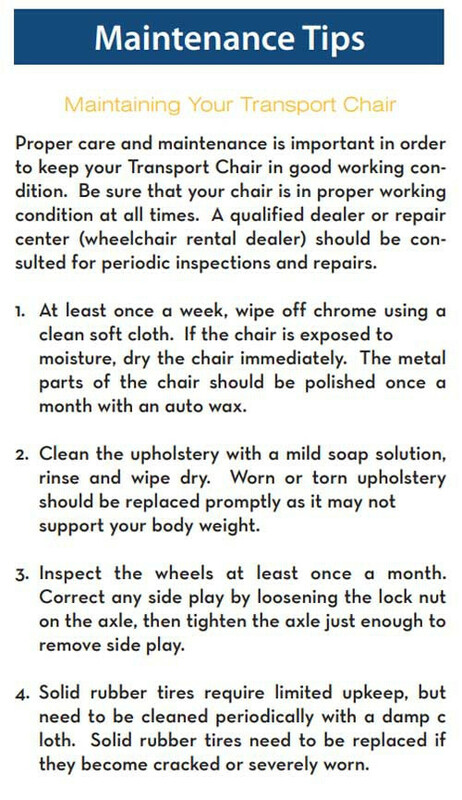 Drive Medical Bariatric Transport Chair Warranty: Limited Lifetime. 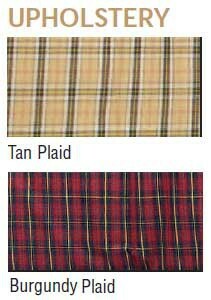 We may be able to special order the item for you if it's available. 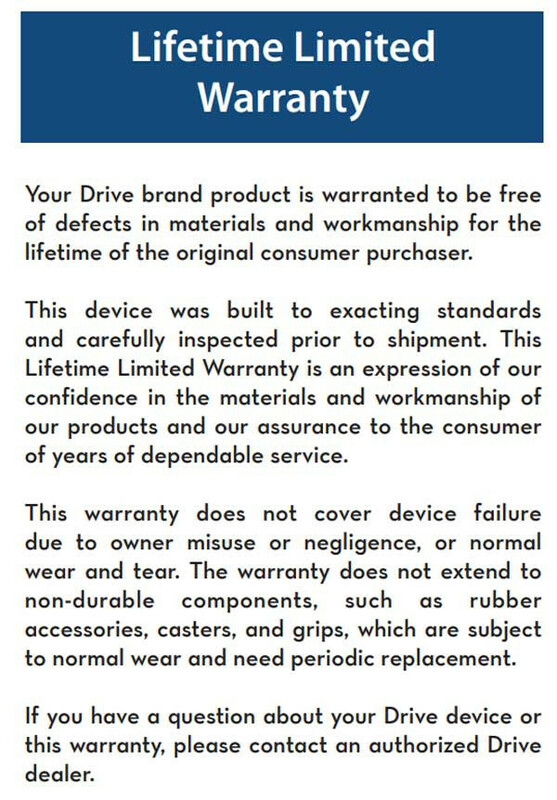 Give us a call at 1-800-397-5899 and speak with a customer service representative to see if an order can be made. 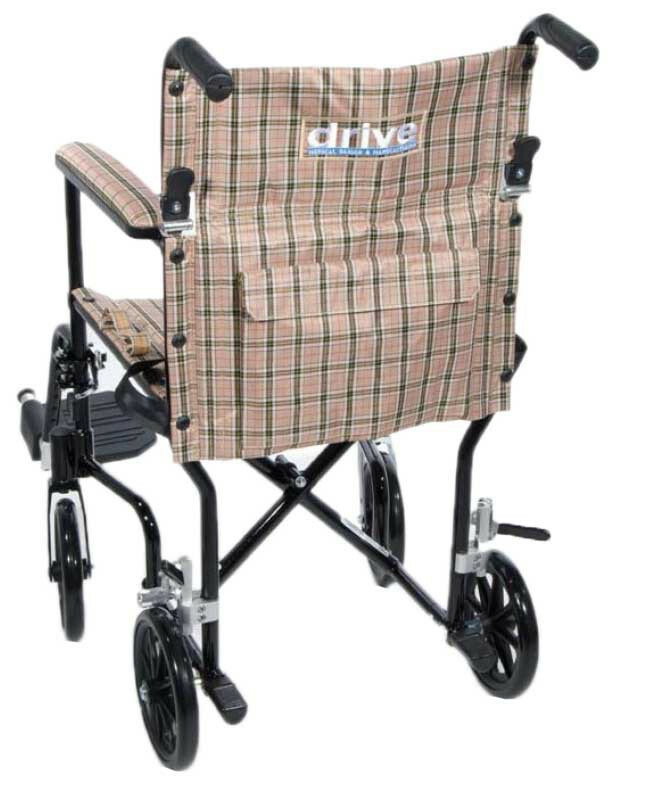 I ordered the transport chair for my husband and am very pleased with it. 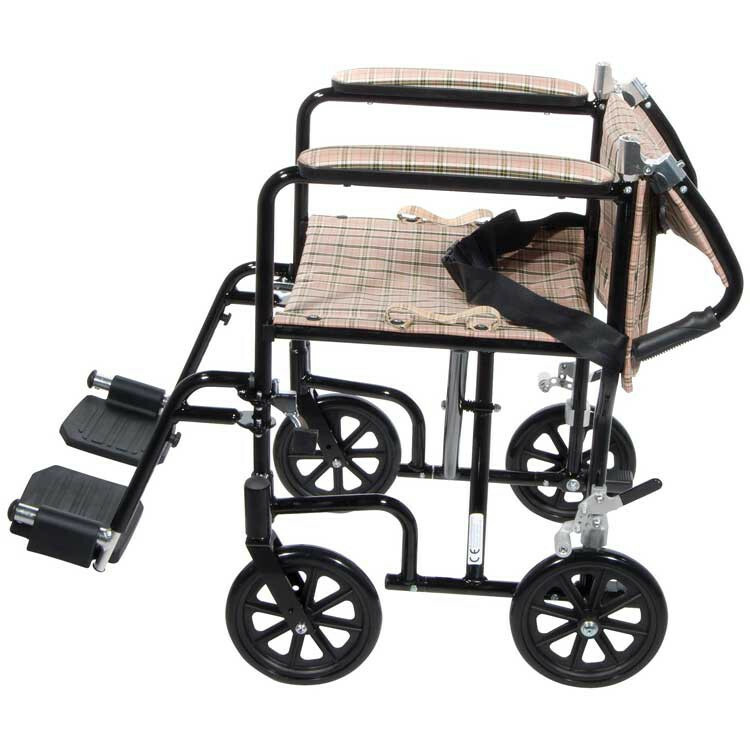 It is sturdy yet lightweight for putting in and out of our car. Shipping was so quick; it arrived in 48 hours. I'm thrilled with the quality of this chair. It's even better than I expected. This is a great chair at a reasonable price.